Gordon Young is the director and lead trainer of the Australian Institute of Clinical Hypnotherapy and the creator of Sydney Hypnotherapist. 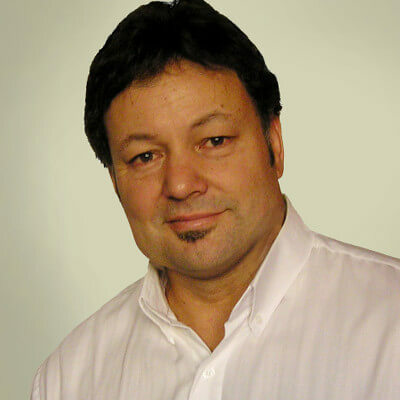 Gordon is an internationally recognised name in the world of NLP and Hypnotherapy. He is considered by many to be Australia’s leading NLP Trainer and Hypnotherapist having studied in Australia and in the United States with both the creators of NLP and the leaders in the field of Hypnotherapy. Gordon trained at the prestigious Milton Erickson Foundation in Phoenix, Arizona, the absolute pinnacle of training in modern hypnosis. Gordon is the former President of the Australian Society of Clinical Hypnotherapists, Editor of the Australian Journal of Clinical Hypnotherapy and Hypnosis, and the Chair of the Australian Board of Neuro Linguistic Programming. Moreover he is not just a therapist. He runs training organisations that teach therapeutic practice, and supervises other therapists, guiding them through difficult cases behind the scenes. Where most therapists struggle to exceed a 30% success rate, Gordon operates at over a 90% success rate. In fact you are asked in the opening minutes of our session if you will participate in future surveys to check your progress up to twelve months later. Apart from Gordon’s experience, the key to his success is that he uses a very particular form of advanced hypnosis that most hypnotherapists outside of his training institute (AICH) graduates have never had access to. It focuses very much on addressing the “experiential gaps” in your approach to the situation, and arms you to better deal with similar situations in the future. Gordon’s approach is solution oriented brief therapy and most clients usually require no more than 3-4 sessions to deal with a particular issue. You might be comforted to note that it does not matter how long you have had the problem, or what you have done to try to change it in the past – Gordon can still make a significant difference in just a few hours.